(CBS/AP) In the next few years, malaria deaths will be virtually eliminated. At least that's what health officials are hoping, despite having failed to meet an earlier goal to cut the malaria rates in half by 2010. Malaria cases have been reduced by 17 percent since 2000, according to a report released Tuesday by the World Health Organization. Last year, experts say, there were about 216 million cases of malaria worldwide. About 81 percent of those were in Africa, mostly in children under five. It is disappointing to not have reduced malaria by 50 percent last year, said Dr. Robert Newman, director of the WHO's malaria program. But, he said, it was "truly significant progress" that the parasitic disease's death rates fell by more than one-third in Africa. Newman calls the goal to cut malaria deaths to "near zero" by 2015 "aspirational," saying that it won't be accomplished unless every person at risk has access to a bed net and suspected cases are properly diagnosed and treated. It would also cost $6 billion a year, Newman said - about three times more than the world currently spends - to be successful. Newman said more investment is needed to improve disease surveillance. For many African countries where malaria is circulating, officials use modeling estimates, not actual cases of sick patients. "Unless we know where we still have malaria, we cannot successfully take the fight to the next level," Newman said. "It is unacceptable that people continue to die from malaria for lack of a $5 bed net, a 50 cent diagnostic test and a $1 anti-malarial treatment." Some experts wonder if WHO should be setting such lofty goals, especially at a time of declining funding. "I understand why people want these big, audacious targets, but it may undermine malaria (control) in the long term," said Richard Tren, director of the nonprofit Africa Fighting Malaria. "It may be reckless to overreach." Health officials tried in the 1950s to eradicate malaria, but gave up within a decade. That failure prompted donors to lose interest, allowing the disease to surge. The ongoing financial crisis doesn't help matters. The world's top funder of public health programs - the Global Fund to Fight AIDS, Tuberculosis and Malaria - recently announced it has run out of money for its next round of grants. This could mean delays in getting new bed neds and money for new treatment programs, Dr. Tido von Schoen Angerer, an executive director at Medecins Sans Frontieres, warned. "We really risk losing some of the hard-won (gains) in malaria control," he said. But other major donors, including the Bill & Melinda Gates Foundation, Britain and the U.S., are not expected to trim their donations, Newman said. Gates has previously called for malaria to be completely wiped out. 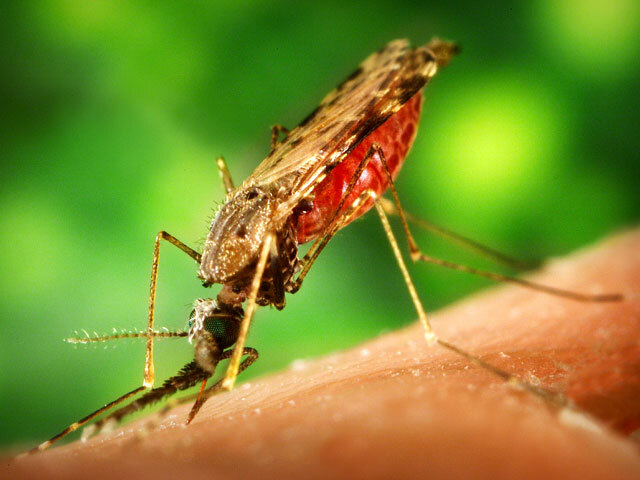 Malaria is a potentially fatal disease caused by parasites spread to people via mosquito bites. It is most serious in young children and pregnant women.